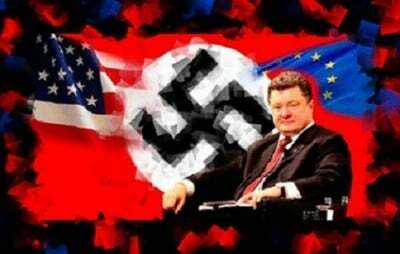 1,500 documented reports of war crimes committed by the nazi Ukraine regime have been sent to the European Court of Human Rights! The public commission of DPR Donetsk people’s republic have gathered all documented reports from victims, residents of DPR who have suffered from the criminal war waged by war criminal and nazi coup leader of Ukraine Poroshenko! The public commission have been operating the last two years and recording and documenting war crimes in Donbass by the pro-nazi Ukraine regime, according to commission member Elena Shishkina. As of today, 1,513 case complaints/documents have been sent from DPR residents who have suffered from the crimes committed by the Kiev regime. Documented reports also include the murder of 171 civilians, serious and grave bodily harm and property damage this year 2017. The public commissions office recording the war crimes committed by the Ukraine junta regime in Donbass began its work in 2015. Investigations have been carried out by law and criminal investigative officials.